I am in kansas city KS and I need to find a bonding pouch! Does anyone know where I can buy one locally? I don't want to order online as I want it asap help! Any suggestions? New mom to Marcellus my rescue Joey! If you look in the Classified Section you may be able to find someone that's close to you that you could meet up with. I ship priority, so it takes only a couple to few days for shipping. If you order a PRE-MADE I can get it in the mail tomorrow. Today is columbus day, so no sure if post is running. A pouch that is not pre-made may take an extra day or two for me to get ready to ship, depending on your requests. 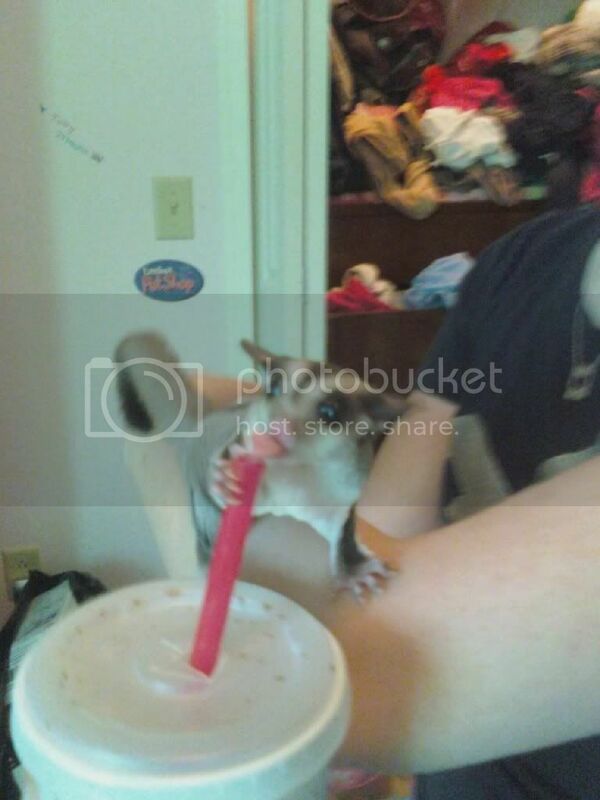 here is a ink from Sugar Glider Help. The site list vendors and im sure you could find someone who is close to you! Hope this helps! I just looked at the two of them, I'm really familiar with JillMarie's work and you won't be disappointed, she's fabulous! I recommend going with the normal size one, especially if you will eventually be getting a friend for you little one. They can curl up and cuddle fine, but have a little wiggle room. In the mean time, stuff little fleece square blankies in there with your baby. If you're worried about light, wear the pouch with the screen side toward your body, she'll still get some air, but really with fleece blankies in there, she'll be cuddled under most likely. Last edited by Terry; 10/13/14 09:58 PM. That was my recommendation as well.